As indicated in Part 1, I promised to give you a real example illustrating the time and effort that goes into excluding the sales comparison approach. It’s almost your lucky day. I won’t cite the marina and I’ll omit the state this assignment was in… except to say it wasn’t Maryland or the Mid-Atlantic region. Most states allow the counties to have their own systems for Assessors to database their sales information. Nowadays, it’s 50-50 as to whether the county even has an online real estate sales system that you can search. In this example, three of four counties had sales data online. ‘Piece of cake, right? ‘Hope you’re ready for an antacid. What do we mean when we say searching for online sales? I’d guess that only 10-20 percent of these counties have a system where you can find commercial properties (as opposed to residential). In these instances, there is an option to search by commercial property type. So what we’re talking about is 10-20 percent of 50 percent, which is a 5 to 10 percent chance that you’ll be able to find commercial properties. Slim pickings, I’d say. ‘Wonder what you get at the other 80-90 percent of online county sales data sites? You are usually given searching by Tax ID, owner, address, or a combination of the three. Forget Tax ID – who knows what cryptic string you’ll need to find any property? You have to know about the sale in the first place to find it, so that defeats the purpose. Owner name is pure guesswork because many marinas aren’t owned by companies that match the marina name. Many are personally or family owned. Probably about 20 percent of marina addresses you can Google return “no record” when searching by address. Even if you’re lucky enough to get a match, there could be multiple Tax IDs that comprise a marina, so you’re happy if you got the right one. How much time would it take to search for all marinas in a county that offers its sales data online? If you do it as often as I have, it will probably take an hour per county. 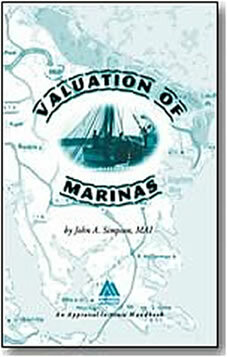 It takes more for appraisers that don’t appraise as many marinas as I have. And it’s not like you’ll ID the sales information on every name, probably about 80 percent. Do the math – the odds on are 50% x 80% or 10-20% (that’s a 4 to 8 percent probability) that you’ll get most marina sales data in any county. So we’re lucky enough to have a county where the commercial property records are online and we’ve located sales data on 80 percent of the marinas. Guess what we’re not looking at? Multiple buildings and building size – is this a boat dealership or a warehouse marina? Could this be a boatyard only? Your online sales records may not be the truth, the whole truth, and nothing but the truth. Is there any indication if this is an arm’s-length sale? Most assessor websites have some sales code reported but too many don’t. Maybe Uncle Joe bought it. Maybe it went bankrupt. Who knows? One or more Tax IDs may not show up in your search. Maybe there are others. Perhaps there’s a separate Tax ID for the dry stack facility and another for the wet slips. If you do price per wet slip, you could be off by a large margin if you didn’t catch the dry stack facility on a separate lot. When was the assessor’s website last updated? Six months ago doesn’t work for you. 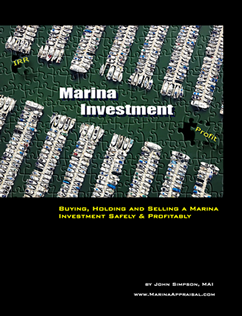 In Part 3, we’ll look at some more thorny issues that affect the quality and quantity of marina sales available on the internet, mainly at the assessor level.